This is not a get-rich-quick scheme. However, it is a viable method to get a considerable stream of income that you could live off while opening up more doors of opportunity at the same time. This article is meant for those with little to no knowledge on how to make money online in the digital world. Like most things in life, you will need no small amount of persistence and consistency. This method requires a year or two before you make any serious amount of money. There are plenty of ways to make money online – from selling ads, affiliate marketing, freelance writing, consulting, designing, coding, etc. Most are pretty straightforward – you sell a service or a product online. However, I will focus on one that you can start really small while you are studying or working and you can have fun at the same time – blogging. I will talk about how it works, an estimation of some numbers you need to hit, ways to get there and some tips. In essence, the asset that you are selling is the web traffic that passes through your blog. Just like how Google sells the search results and Facebook sells your space in your newsfeed to whoever wishes to put their ads on it. Why would anyone pay you? Simple, their bottom-line. Advertisers have determined that putting ads on your website or having you to mention them is worth more than the money they pay you. If you are able to attract traffic that is interested in loans, banks will find you and pay you to put their sign up forms there. The easiest way to start selling ad space on your web. Simply go to their web, sign up and wait for the good news! Google will help you find the relevant buyers, sell them and pay you. But rest assured they will be taking a cut from it. If your web brings in a sizeable traffic of targeted audience, you are in luck. You can become an affiliate because you have enough negotiating power to deal directly with media buyers. For example, it is common practice for credit card comparing sites to sell their leads (fill sign up forms) directly to banks at a predetermined price. How much advertisers are willing to pay depends on your audience’s demographic and which market your blog serves. 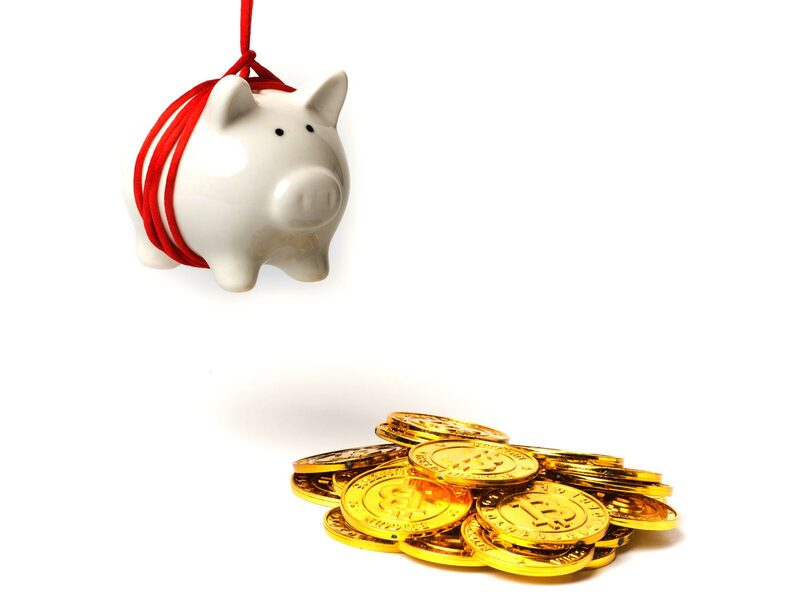 In the financial market, advertisers are willing to pay more than $70 per lead. This is why there are so many credit cards/insurance/loan comparison websites (because they are lucrative.) 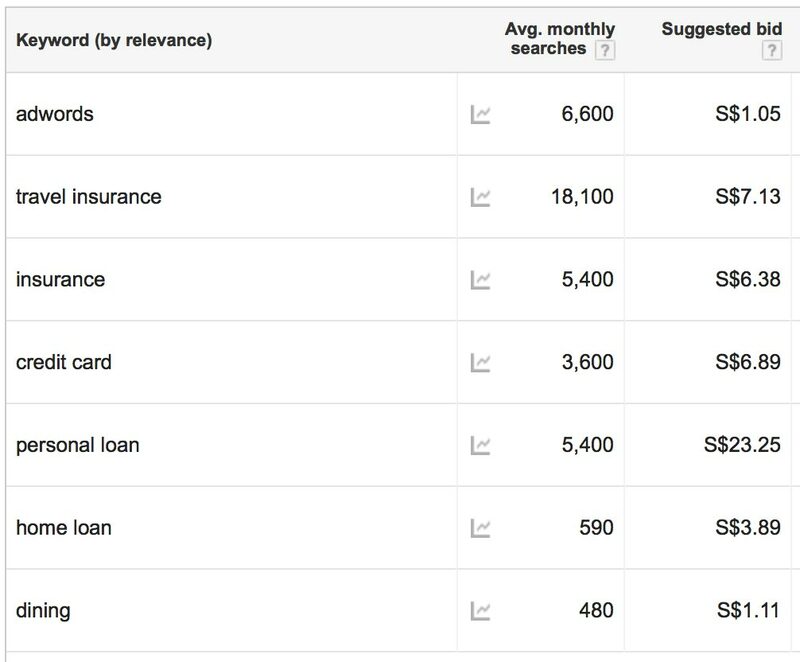 For a better estimation, use the google keyword planner. It takes your geographical location, among many other factors, into consideration so you can work backwards to gauge how much traffic you need to generate. 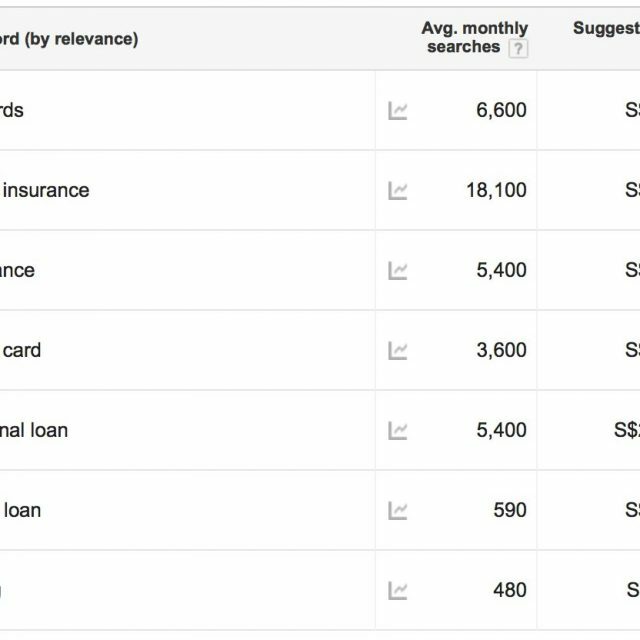 Note that this keyword planner is for search network that reflects bid for the top spot in Google search results. For beginner bloggers, you will tap into Google Display Network (GDN) that pays you for every ad clicked on your blog. This network pays lesser, a $5 bid in Google Search will just be about $0.50 or lesser in your blog. To join this network, you need to sign up for Google Adsense. When they accept your website, you will earn money through ads they placed on your web even when you sleep. How many clicks to generate a $3k monthly income? Assuming it is $0.50 cost per click (CPC), you need 6k clicks monthly to get $3k revenue, the money keeps coming in unless your content becomes outdated. Seems too good to be true? Yes, it is. Don’t forget that not all the traffic will click those ads even though they are optimised for your audience to click them, so your actual traffic needs to be higher. Assuming 6 in 100 people clicks through, you will need 100k monthly visitors or 3.5k daily. Again, I emphasise that you may not be paid $0.50 as well as a number of people actually clicking may differ, for better or for worse. 1. Get yourself a website. Owning the website is important because you can/will be in control when things start to get serious. 2. Remember to use the free Google Webmaster Tool. Google uses this to determine if you are the owner of the web as well as assessing your traffic quality to join Adsense. 3. Identify an interest you would like to write about. The type of audience you attract will determine how much you get paid. 4. Write related articles regularly and share them through all social channels. You may post/ask for your article to be posted on other websites. 5. Once you reach a critical traffic size. You can join Google Adsense to start monetizing on your hard work. 1. Don’t give up. Results rarely come in immediately. 2. When you start to have some sort of success, normally a huge amount of traffic comes from only a handful of evergreen posts. Build on it! 3. Go for quality instead of quantity. This means that your articles must be original. 4. It will take time of about 1-2 years. You can use google analytics to track your performance and claim your website using Google Webmaster Tool for free. 5. Can you expedite this? Yes, you can. Outsource ! Pay freelance writer for every article. Normally, this is done by companies who have the budget and desire to push their SEO ranking up for certain keywords. 6. A blog can be in numerous form, even video. The highest paid video blogger is PewDiePie, aged 26, at $12 million. Read this guy’s struggle and how Google makes money from “you”. 7. You probably need at least 30 well- written articles before getting accepted by Google. There are many instances where owners struck rich when their web are bought up by companies who run a whole network of other websites. However, for most of us, blogging (or writing) compel us to reflect and retain on whatever we learnt. It also brings in opportunities you would never expect to receive. There are numerous ways it will reward you.